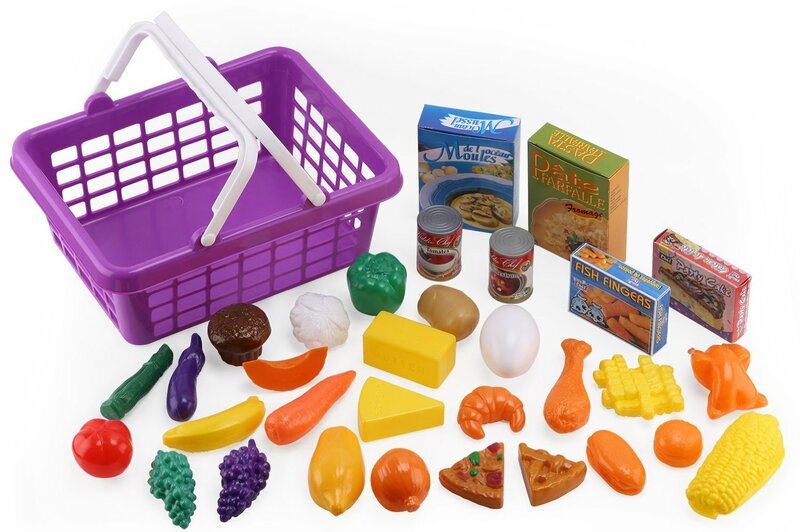 This 33 piece Grocery Click n’ Play set is wonderful for your little helper at home. There are several items that come in the package that range from fruits and vegetables to cake mix, past mix and there is even a small chicken in the grocery basket. I added a video review to this to show you the product and the size dimensions, so you can make the best decision when buying. This is sold for a great price compared to most major retailers and will make a fantastic gift! Great 33 piece set for hours of playtime fun! I received this product at a discount in exchange for my honest and unbiased review.